We’re going to feature Christie’s first recipe here, but you can check out her other amazing Paleo recipe creations and other fun health and fitness musings on her blog. Stir in the broth and boil for 2-3 minutes. Scrape up any browned bits sticking to the bottom of the cooker. Stir in the mushrooms and garlic. Set the chicken on top. Cover the chicken with crushed tomatoes. Do not stir. Plop the tomato paste on top. Over high heat bring to high pressure. Reduce the heat just enough to maintain high pressure and cook for 8 minutes. Allow the pressure to come down naturally. Remove the lid. Stir in the olives, parsley, red pepper flakes, salt and pepper. I served mine over a HEAPING serving of shredded cabbage (instead of the traditional noodles), and it was AWESOME! Drool. FINE. Now I’m convinced. Pressure cooker, here I come. I have a pressure cooker and I love it. This recipe looks great. I will have to try it. Looks great! I just ordered a pressure cooker and look forward to trying it. I thought I’d offer a few tips for anyone who is new to pressure cooking, or is considering buying a pressure cooker. I purchased my first one right before Christmas, and have only been using it since early January, so I’m far from an expert, but I’m happy to share the little things that I’ve learned through trial and error so far. 1) If you’re going to buy a pressure cooker, I’d highly reccomend getting the 8 qt. size. Initially I purchased a cheap (and poorly made) 4 qt size. I never could get it to work, so I returned it, and decided to upgrade to an 8qt with it’s replacement. The larger size is so much more convenient. I can cook small meals in it, but I have the capability to cook a big pot of chili, or a 6 serving size meal so that I have lots of leftovers. 2) Buy a quality Pressure Cooker the first time! As referenced above, I purchased a really poorly made one initially b/c it was on clearance in an aisle at the grocery store. . . I never could get it to “come up to pressure” because it leaked steam so badly around the handle. It was super f rustrating because this was my first pressure cooker experience, and I thought I must be doing something wrong, but couldn’t figure out for the life of me what it was. ~I ended up purchasing a Presto 8Qt. Pressure Cooker with a rocking regulator, and love it! It’s very well made and heavy as hell – It’s the kind of cookware that you can tell will be around for a while. I know that I’ll have to replace the rubber seal occasionally, but I don’t forsee having to replace the cooker itself for a very long time. 3) Be Patient! The first time I used the better-quality 8qt cooker, I was paranoid that it wouldn’t come to pressure either . . . after about 5 or 6 minutes with the heat on high and the lid locked I started spazzing just a little bit – I wanted to pull it off the stove b/c I didn’t want it to “blow up” (It wasn’t “leaking” steam like the first one, but the regulator wasn’t rocking either), but at the same time I wanted to leave it on there to see if the regulator would start rocking. . . It finally came up to pressure, and the regulator started to rock after about 10 – 12 minutes. (And I breathed a huge sigh of relief). So be patient, and give your cooker time to come up to pressure before you start worrying that you may be cooking a bomb on your stove! 4) Don’t start timing the cooking process until your cooker comes up to pressure. This means that recipes that have to “cook” for 10 minutes are typically on my stove for a total of about 20 minutes. 5) Have Fun experimenting :) It’s really, really hard to mess a Pressure Cooker recipe up once you know the cooking times of various items and you’re familiar with the way it works. The only thing that you have to be careful of is making sure that you have enough liquid in the cooker. If you want some tips and tricks from someone with a lot more experience than me check out Elle’s site, Hip Pressure Cooking: http://www.hippressurecooking.com/ . There is a great beginer’s guide and a thorough cooking time chart there. Just beware that a lot of the recipes found on her site are not Paleo. Christie – Why do you add the red pepper flakes, salt and pepper after cooking the chicken and not before? I have a co-worker who swears by his pressure cooker & I’ve teased him endlessly. Time for me to put my foot in my mouth and get one!! Looks amazing Christie!! And the kiddos didn’t balk one at the ingredients! Patty – congratulations on “breaking down” and making the purchse – you’ll have to let me know how you like it! I love my pressure cooker! I have never used it to make a meal for right now – just for bottling fresh veggies from my garden! I’m so excited to give it a try! Just a note for those of you with gardens or access to farmers’ markets, I love to bottle tomatoes! Stewed, paste, juice etc. I know where my tomatoes come from and know 100% that they are clean because I grew them and only put a little salt and some vinegar or fresh lemon juice in them before pressure cooking them. It’s so easy to pop open a jar and add it to your meal! This goes for beans, beets, etc. A friend of mine even bottles chicken soup and elk stew! Awesome! My garden is getting bigger by the minute – hurry spring! This recipe is incredible. It was the first thing I tried with my new pressure cooker. It took 30 minutes from start to finish and the result was fork-tender chicken that tasted incredible. I made it with six chicken breasts and enjoyed it over stir-fried squash and zucchini. I just wanted to comment that I have had my Cuisinart ELECTRIC PRESSURE cooker now for about one month. I think it’s easier to use than a stove top one because everything is right there…you don’t have to worry about turning up or down the heat. It is phenomenal. There is a cookbook called “Slow Food Fast” which has helped me a lot. Most of the recipes call for some NOT Whole 9/30 approved food, so just leave that out. Most of them say to serve over rice or noodles…I just either eat it right out of the pot or over steamed spinach, etc. So, thank you for posting this because I do feel pressure cookers are the best kitchen gadget ever, I just choose the electric version! Pressure cookers are awesome, I bought the Kuhn Rikon duromatic duo years ago, and I use them constantly. I do pot-in-pot technique to make oatmeal and also rice. Fabulous for dals or anything with beans. If you break down your own meats, you can whip up a fast homemade stock in a fraction of the time–they are so useful for whole, real foods which so many of us feel we do not have the time for! 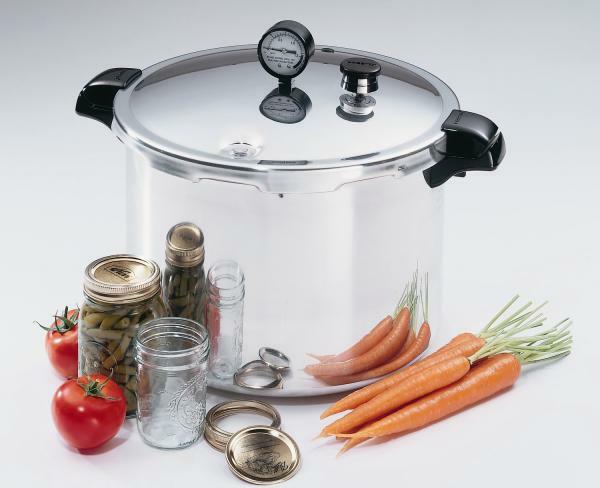 I personally prefer the stove-top over the electric, just because I can use my pressure cookers as regular old pots by swapping out the lid, which Kuhn Rikon also includes–a plain glass lid as well as the pressure lid. Hi Christie, thank you for linking to my website in your comment, so many people came to visit! I’m researching the Paleo diet so that I can have a quick link just to those recipes from my website for your readers that came for a visit. Right now you can sort the recipes by: low-fat, low-carb, gluten free, vegan and vegetarian diets – on the right hand side). I would appreciate pointers to an authoritive page on the Paleo diet do’s and don’ts so I can figure out which recipes are Paleo-worthy! Thanks again Christie and the Whole9 readers who popped by for a visit! In general, “Paleo” means no grains, dairy, legumes, processed foods/ingredients or artificial sweeteners. You can read more about our Whole30 program, and the foods we allow (and don’t allow) on the Whole30 tab on our site. Jay – I don’t really know, to be honest, but I don’t think the amount of tomatoes is critical to this recipe. Go ahead and add as much as you think would taste good – get creative! I’m 59 years old. Been using pressure cookers for over 50 of those years. Yes OVER 50 of them. I’ve ‘canned’ venison stew meat, beef stew meat (browned and seasoned just the way we like it), applesauce, stone fruits, in addition to cooking. Coming home from work and adding a jar of canned meat and chopped vegetables to a pot is the quickest stew ever. My latest accomplishment is canning my own tuna. Too fantastic for words. Salad Nicoise was never so good. As far as vegetables are concerned, it’s good to remember that some vitamins are destroyed at high heat, so pressure cooking is not the best way to go there. 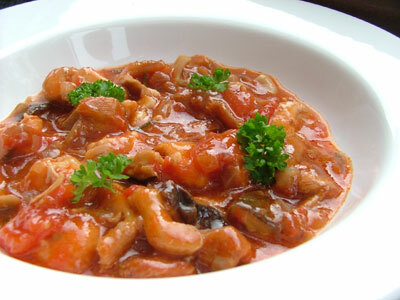 But for the most part anything like swiss steak, beef stew, or the chicken cacciatore is a good use.